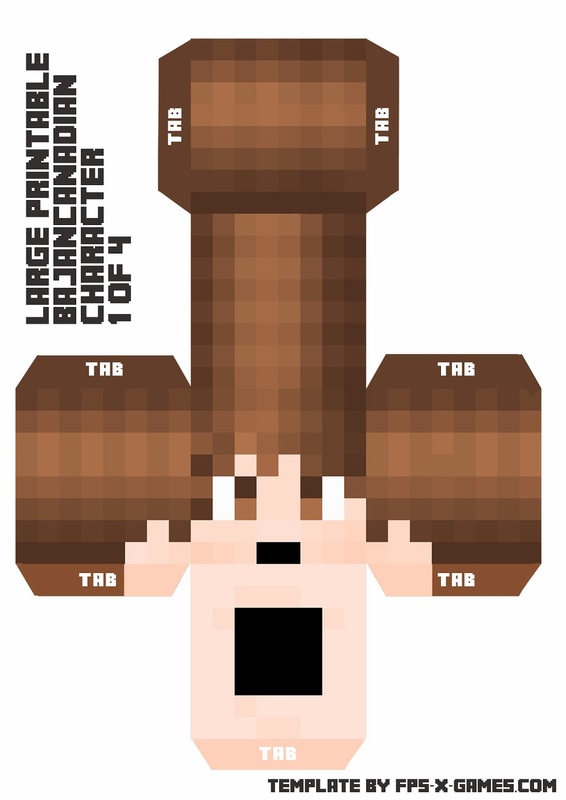 As requested, here is the large printable BajanCanadian Minecraft character to create. 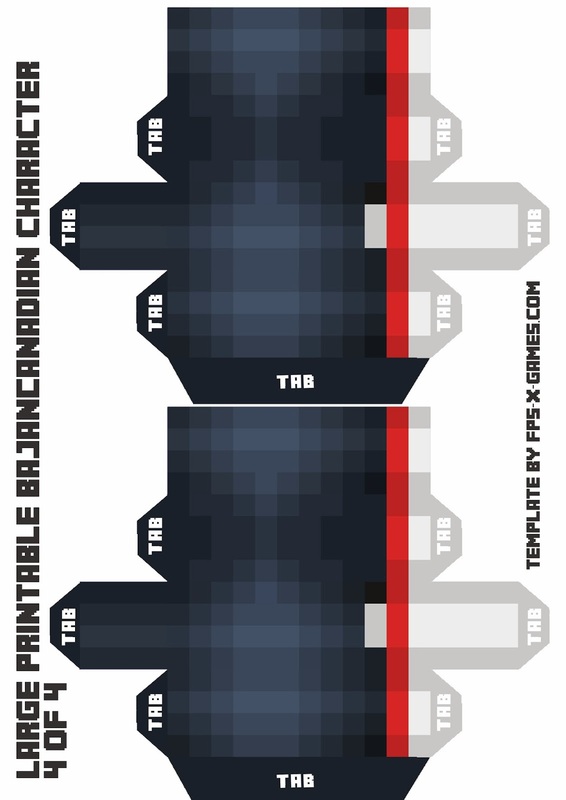 TheBajanCanadian is a popular YouTube channel with over 2.5 million subscribers. He uploads Minecraft videos, and loves to make competitive mini games. 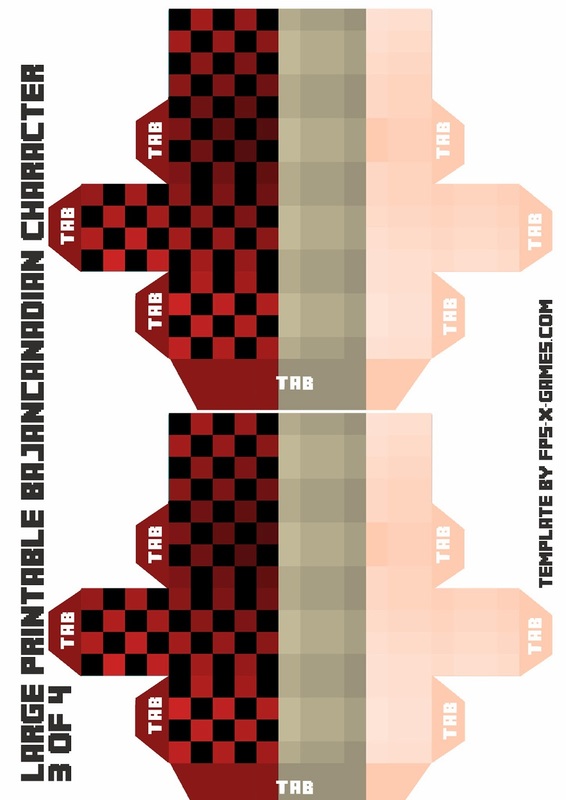 You can find daily Minecraft PvP, Modded Survival Let's Play and occasional Mod Showcases on his channel, In Benja We Trust. 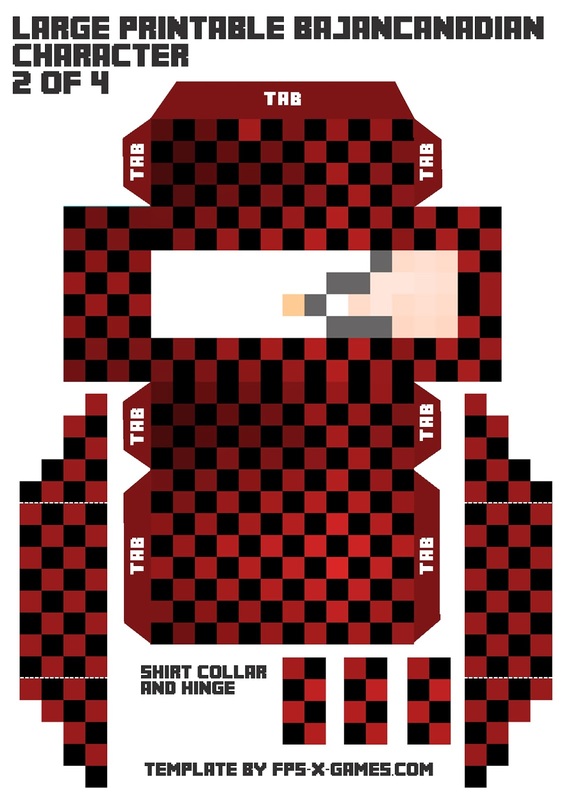 Printable BajanCanadian Template Complete with Collar. Keep the request coming guys.